It’s a great starting point for beginners to try before embarking on more challenging bets that may require a little more time and research. Soon enough, you’ll be a seasoned sports betting veteran jumping at odds that are released on a daily basis. There are several ways to put your money down on teams — moneyline, point spread, over/unders and prop bets - just a few to name. In this series, you’ll learn how it all works so you are cashing in on winning bets more often than not. Like any other sports wager, preparation is key. We are here to be a helping hand with our extensive Learn to Earn video series, which is designed to guide you through when, how and why to choose certain bets. Most importantly, our video series will teach you the basics about delving into the numbers and statistics while learning how to better read odds, thereby enhancing your betting experience. There are hundreds of stats in sports and following every one of them is almost impossible. But the deeper you dig to find worthwhile stats, the greater chances you’ll have of winning on your wagers. Have a look at 10-Game Metrics, which shows you how valuable stats from a 10-game span can be for your bettting strategy. Home teams tend to be the automatic favorites in many cases, but you'll want to dig a little deeper to make sure you're making a sound bet. Watch Home Field Disadvantage and you'll see when betting on the away team is the best option. It also shows when to back the home team, as it is a distinct advantage in certain scenarios. To enjoy consistently good results on your hockey bets, you'll want to learn all there is to know about some advanced NHL stats, specifically With or Without You, or the Corsi effect. How much can it affect a result? Take a look and find out just how valuable this stat can be. 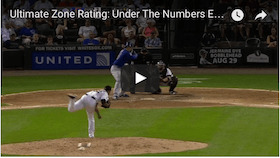 We dive into the importance of team defense in baseball and show you which baseball stats you should be paying the most attention to, including Ultimate Zone Rating. Players with high Ultimate Zone Ratings are invaluable to a team's overall defense and are integral in planning bets. 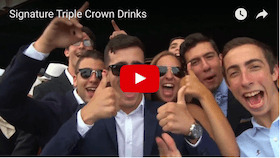 The Triple Crown - which includes the Kentucky Derby, Belmont Stakes and Preakness Stakes - are the three most importand - and popular - races in US horse racing. The tracks that host these events are known the world over. We take a look at the tracks, and the festivities that are part and parcel. 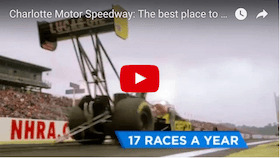 The Charlotte Motor Speedway, know as the best place to watch a race, is one of the most impressive sports and entertainment venues in the US. This impressive venue not only hosts some of the most important Nascar races, but is an all-encompassing entertainment facility. As important it is to understand game lines before placing a wager, it’s also crucial to know other key statistics involving the teams you are betting on. A stat as simple as keeping track of how a specific club has fared over their last 10 games can be a deciding factor on whether your betting slip is a loser or if you’re cashing it in. Look into how teams are faring on the road and at home in the same 10-game span. Check out whether they're a prolific offensive team or a team that prides themselves on solid defending. Find out how the team you're thinking about bettting on does against conference and divisional rivals. Do they play better on the west coast or on the east coast and do they prefer to play teams in the opposing conference? All of these stats will help you formulate a well-planned, solid betting strategy. Before even putting your money down on an online wager, the first step is picking a reputable sportsbook. There are certainly many to choose from — some offering different perks and welcome bonuses to entice new customers. Try to pick an online sportsbook that is easy to navigate and simple to make bets frequently. A few of the leading online sportsbooks man people continue to choose from include Bovada, TopBet and BetOnline. You're read to top up your account and start your online sports betting journey. Well, sort of. There are several numbers and symbols connected to each game line that you will have to understand before putting your money down. Let’s start with the moneyline — a betting format that requires picking a team to win outright. Like any other wager, there will be a favorite and an underdog. The favorites will have a number with a minus next to it, while the underdogs will have the plus sign. For example, if the Pittsburgh Penguins were favored at -250 against the underdog New York Islanders, you’d have to put a $250 wager down in order to win $100. If you took the Islanders at +310, a $100 bet would fetch a $310 payout. A point spread line will also have a plus and minus symbol attributed to each favorite and underdog team. The difference is, rather picking the winner outright, you’re deciding whether or not the favorite or underdog will cover the point spread. For instance, if the Green Bay Packers were -5.5 favorites over the Pittsburgh Steelers, they’d have to win by six or more points to cover. If the Steelers win or lose within 5.5 points, they would cover the spread. 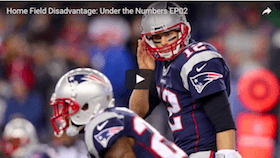 The over/under is also a popular wager in many sports, especially in NFL betting scenarios. It requires betting on whether the game will go over or under the projected points total. This can be tougher than it sounds as so many variables come into play, including injuries, weather and how teams fare at home compared to on the road. Once you’ve gained enough confidence, you can now embark on a parlay wager, which allows bettors to bet on two or more teams and subsequently earn larger payouts. Are you ready to start your online sports wagering journey? Here are a few of the leading online sportsbooks to consider before placing your bets.